The Quality Deer Management Association (QDMA) has released the 2013 Whitetail Report, the most comprehensive report on the status of white-tailed deer available anywhere. 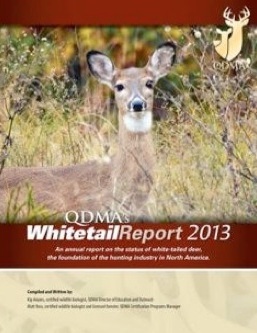 The 2013 Whitetail Report, along with previous Whitetail Reports, can be viewed as PDFs online at www.qdma.com/corporate/whitetail-report. Additionally, for the first time in the history of the Whitetail Report, anyone wishing to purchase a printed copy of the 2013 edition can do so for $10 by visiting The Shed, the official store of QDMA, at www.qdma.com/shop or by calling 800-209-3337. Part 1 focuses on state/provincial deer harvests during the past three seasons, including the buck harvest by age class and other insights. 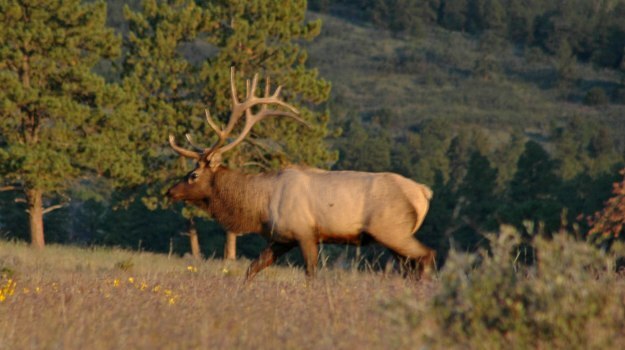 Find which states/provinces are shooting the most bucks and does, and see what type of aging techniques each state/province uses. Part 2 covers recent trends and the most pressing issues facing whitetails including a compiled list of the top threats to deer management. See how many whitetails are being killed on damage/depredation tags, by deer-vehicle accidents and by disease. Read about hunter success, and see that the number of hunters increased for the first time since 1975! Learn how unprecedented warm weather and high corn prices led to the most acres of corn being planted in 75 years! In a subsection of Part 2, QDMA explains its stance on captive deer breeding and explores trends and statistics related to the captive deer industry. Part 3 is an informative reference section that includes information on producing quality habitat on a budget, forming Quality Deer Management (QDM) Cooperatives, and much more. Part 4 provides an overview of QDMA's REACH program and includes information on our Youth and Land Certification Programs. 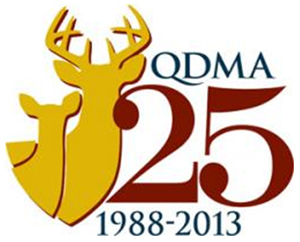 It also includes valuable directories for QDMA Branches and state/provincial deer project leaders. In less than a minute, a nice 5X5 bull came into the waterhole and was looking for the bull he thought had been breaking the limbs. He ran all the way into the wallow, 30-yards from the blind I had built. What I didn’t realize was this bull was creating a new wallow about 30-yards further out than the one I had ranged. 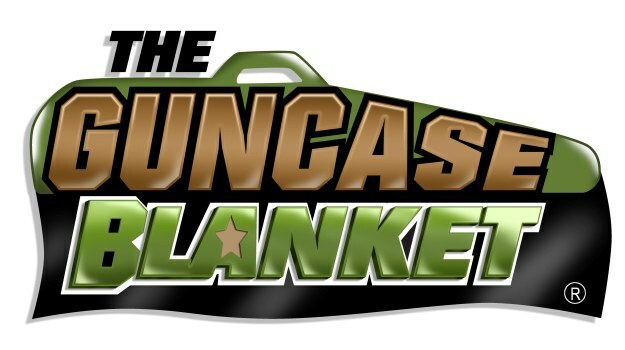 The Quality Deer Management Association (QDMA) is pleased to announce that Ronnie "Cuz" Strickland of Mississippi, Senior Vice President of Mossy Oak, has joined its Board of Directors. QDMA members can meet Strickland and welcome him to the organization at the 2017 QDMA National Convention, July 20-23 in New Orleans, where he is a featured speaker.